BOOK YOUR CHARTER WITH CAPTAIN SCOTT TRIPP, A LICENSED AND INSURED FULL-TIME FISHING GUIDE. CAPTAIN SCOTT HAS BEEN FISHING FLORIDA'S COASTAL WATERS FOR OVER 30 YEARS AND GUIDING PROFESSIONALLY SINCE 1998. 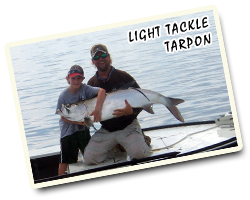 HE IS A TOURNAMENT WINNING LIGHT TACKLE AND FLY FISHING GUIDE THAT WILL CATER TO YOUR FISHING ABILITY. FROM FIRST TIMERS TO WORLD CLASS ANGLERS. HE WILL WORK TO PUT YOU ON FISH AND SHOW YOU THE BEST TECHNIQUES TO USE ACCORDING TO CONDITIONS. 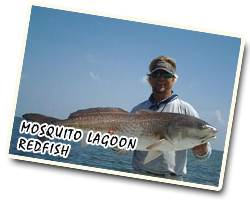 SIGHT CASTING IN MOSQUITO LAGOON IS ONE OF THE MOST CHALLENGING AND EXCITING ANGLING ADVENTURES IN SALTWATER. COME EXPERIENCE THIS THRILL ONLY A SHORT DRIVE FROM ORLANDO AND DISNEY, ON THE EAST COAST OF FLORIDA.